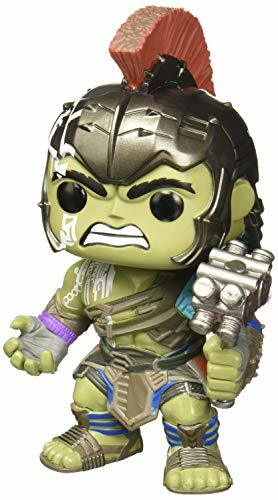 The third Thor movie - 'Ragnarok' is due to hit cinemas around November, and FUNKO are all over it with a range of Mystery Mini, Dorbz and this first series of POP! figures.As always for a Marvel/Avengers related film anticipation is huge and blockbuster cinema numbers almost guaranteed. With Thor imprisoned on the other side of the Universe, he finds himself pitted against his Avengers teammate, The Hulk, in gladitorial combat.New characters and costume designs coming to this POP! series - isn't Hela the coolest! 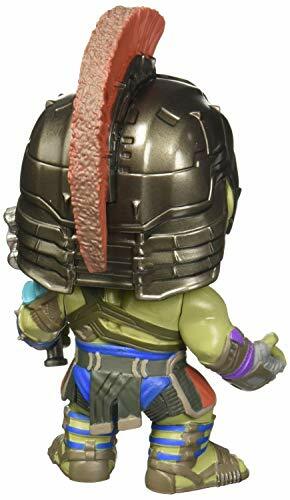 !The Gladiator Hulk in Helmet POP! vinyl figure stands around 9cm tall. Packed in an illustrated window box.